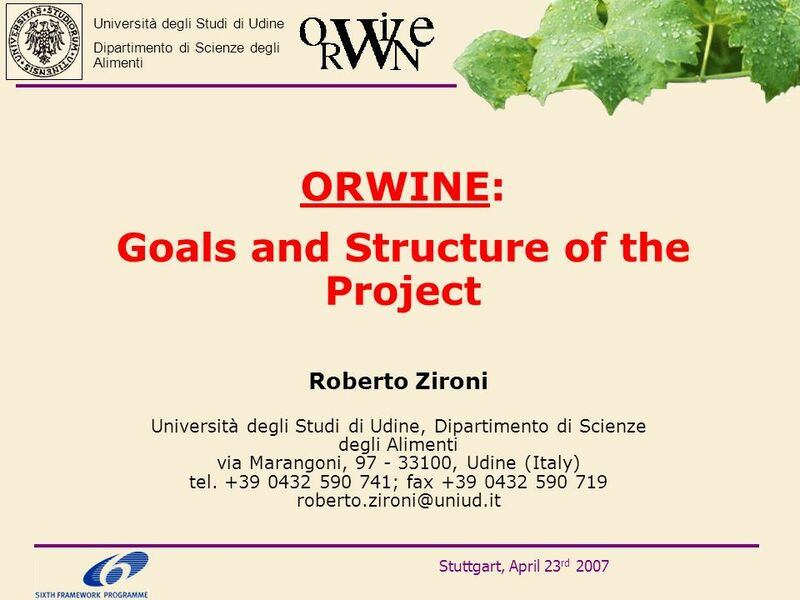 Download ppt "ORWINE: Goals and Structure of the Project Roberto Zironi Università degli Studi di Udine, Dipartimento di Scienze degli Alimenti via Marangoni, 97 - 33100,"
Centro Internazionale di Ricerca PER la Montagna CirMont CirMont - International Research Center for Mountain The future belongs to those who believe in. Università degli Studi Guglielmo Marconi – LESCO Seminario di informazione generaleRoma, 27 – 28 ottobre 2009 LESCO Reinforcing the links between education. 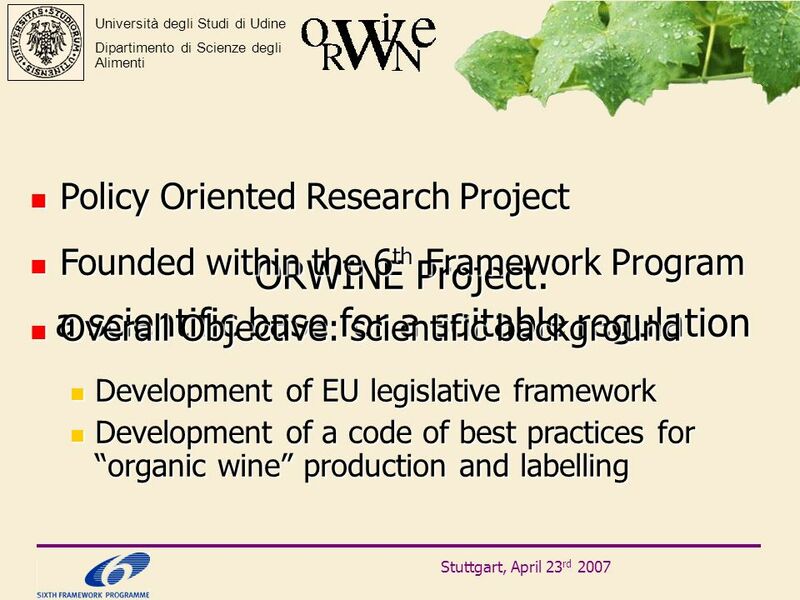 Food Safety Research Programming in Bulgaria - organization and financing TSVETAN TSVETKOV. 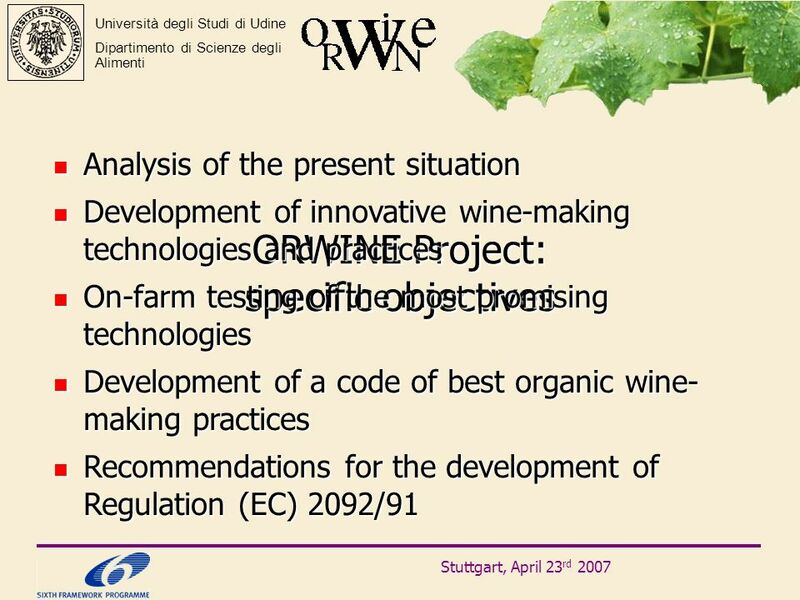 New EU rules for Organic Wine Jean-François Hulot Head of Unit DG AGRI/H3 Nuremberg, 16 February 2012. 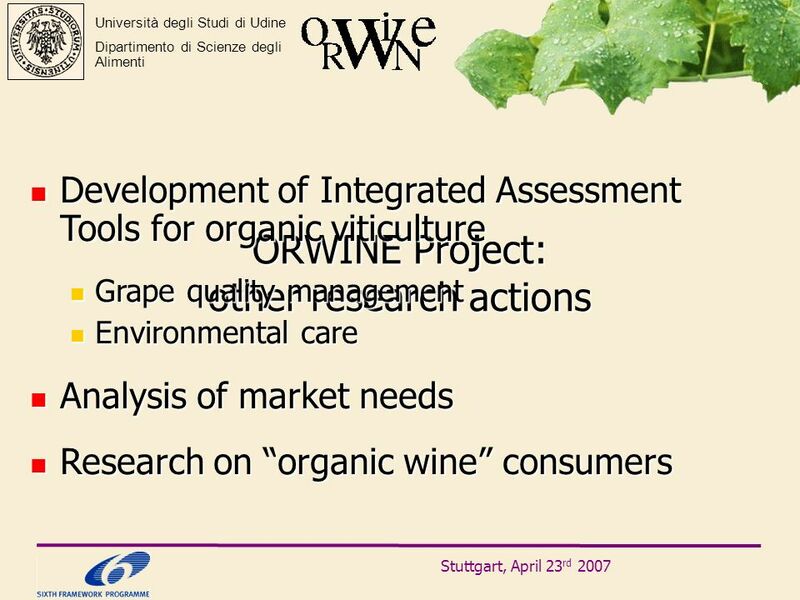 TP Organics – Technology Platform for organic food and farming | Management of agro-ecology for eco-functional intensive systems Cristina. Lifelong Learning Centre Università delle LiberEtà del Fvg Università delle LiberEtà del Fvg. 1. CSEAB CSEAB is a research and service company whose partners are: * AIB (Associazione Industriale Bresciana): one of the most important industrial. 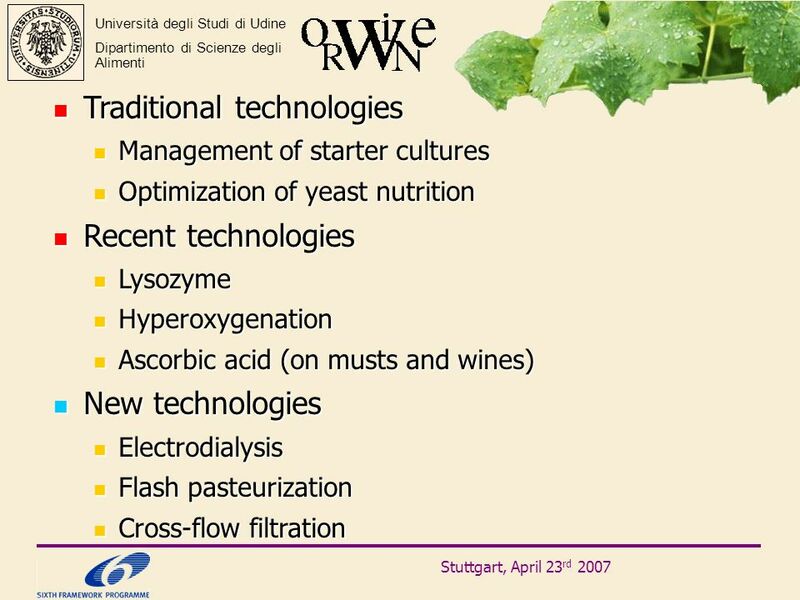 Synthesis and characterization of photosensitizers to be used in photodynamic therapy. 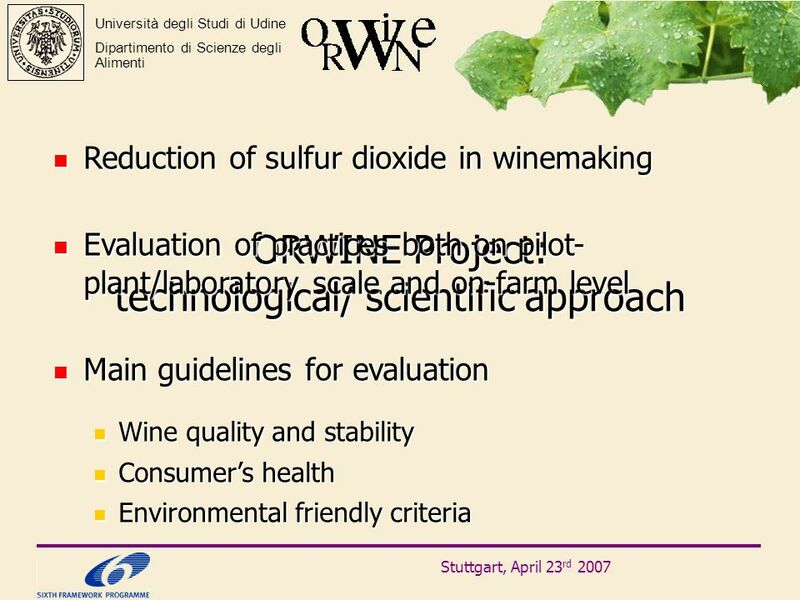 Emissions, Exposure Patterns and Health Effects of Consumer Products in the EU Duration: 1 st June 2010 – 31 st May 2013. 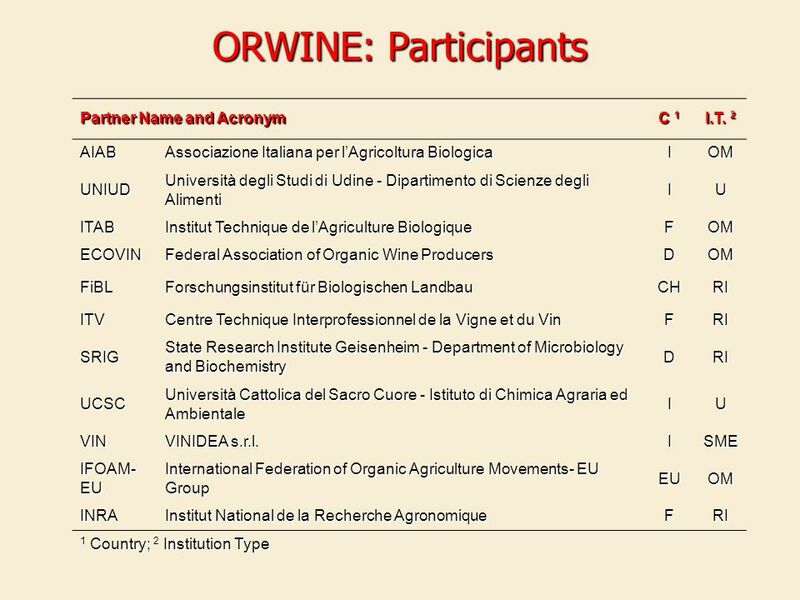 DEPARTMENT: AGRICULTURE SELECT COMMITTEE MEETING Presentation on the re-accession to the international organisation of vine and wine DEPARTMENT OF AGRICULTURE. 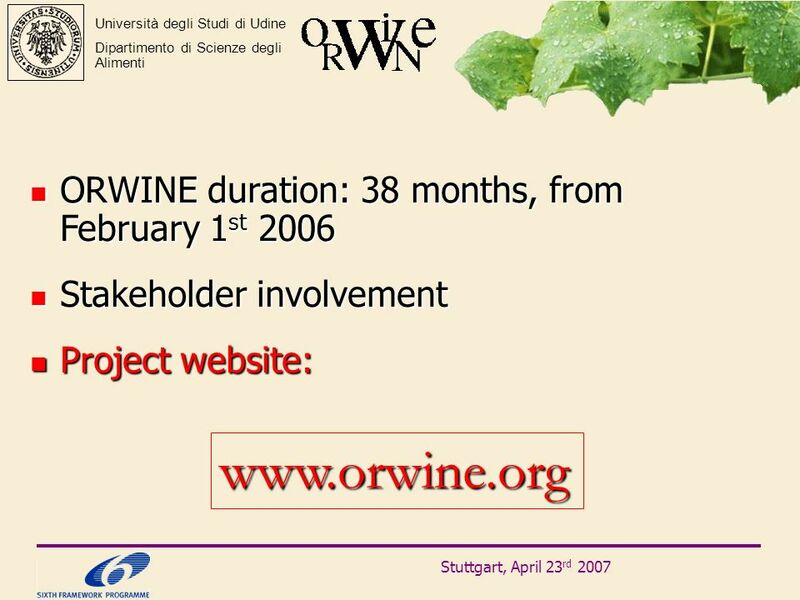 Increasing productivity and resilience Messages and project examples. Introducing Regulatory Impact Analysis into the Turkish Legal Framework Prime Minister’s Office, Better Regulation Group The Project Implementation Team. Antra Damberga Latvian Country Tourism Association Lauku ceļotājs Pilot project Sustainability through common rural tourism quality aspects for BSR. 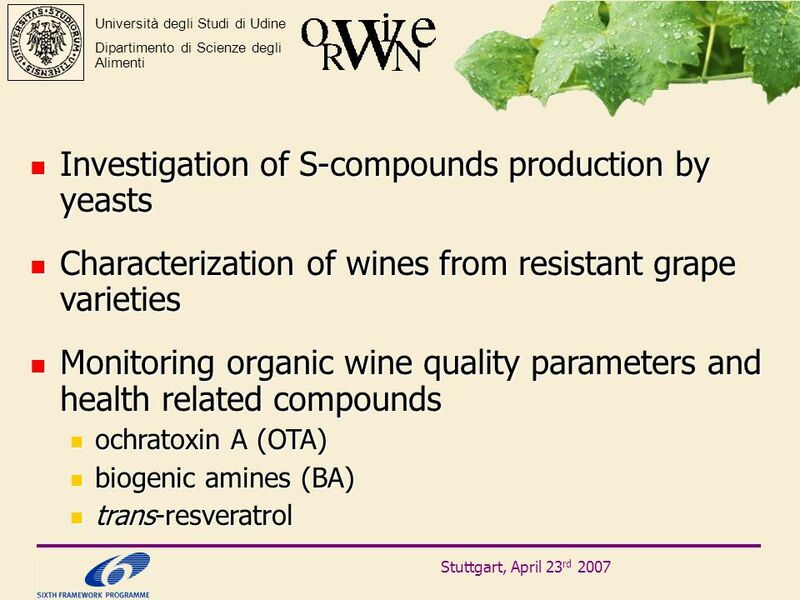 Feb 2004 1 1 st QualityLowInputFood Congress; Organic Farming, Food Quality and Health LATE BLIGHT l Before infection:16 July l After infection: 19 August.